We are pleased to inform you that Nigerian Army University Biu 2019/2020 application, school activities, admission requirements, school fees, NAUB courses offered, Nigerian Army University Biu official portal. This article is all about things you need to know about the Nigerian Army University Biu (NAUB) admission process, requirements for admission, NAUB post UTME 2019/2020 form, NAUB post utme cut off mark and so on. What is the official Nigerian Army University (NAUB) Website/Portal? 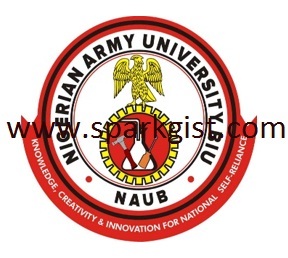 0.1 What is the official Nigerian Army University (NAUB) Website/Portal? Must have written the Unified Tertiary Matriculation Examination (UTME) and obtained a minimum cut-off mark of 180 in the exams. Candidates should refer to the JAMB admission requirements for Universities for O’ Level/A’ Level course combination for their choice of course. Candidates must possess a minimum of five credits in SSCE or its equivalents in not more than 2 sittings. The subjects must include Mathematics, English Language and the subjects relevant to the candidate’s chosen course in both Science and Humanities. Foreign students intending to study at NAUB must have passed equivalents of O’ Level/A’ Level examinations in their respective countries. Those from Non-English speaking countries are to provide evidence of good proficiency in English. For admission, candidates interested in studying at NAUB are to change their First choice of Institution to the Nigerian Army University Biu in the JAMB portal/website.